Buying foreclosures in Ocean Isle Beach, North Carolina, is a real estate investor’s dream. Ocean front properties are on the market, ready to be purchased for pennies on the dollar. 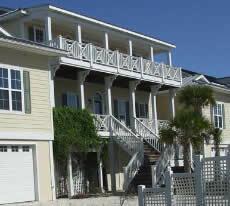 Foreclosed properties in Ocean Isle Beach don’t last long. Interests rates are low, and banks want to move their inventory — now is the time to buy Ocean Isle Beach foreclosures. Foreclosures in Ocean Isle Beach are hot. Ocean Isle Beach foreclosures are being purchased in record time, often with multiple offers. Banks are often asking for the best and highest offer from potential buyers, which is still below current market value for similar non-foreclosed homes in the area. If you want to own a piece of the Brunswick Islands, you need to move fast. Many of the luxury subdivisions in the Coastal Carolinas are watched carefully by investors waiting for a foreclosure property to come onto the market. These foreclosures not only make excellent investment properties, but they are fabulous for amenity value and potential resale. Ocean Isle Beach foreclosures offer a great opportunity to invest in beach communities. Whether amenity value, or reselling the property when the market rises — foreclosures are the way to go. You can find incredible bargains in coastal North Carolina, especially foreclosure and bank owned real estate. These homes were defaulted on by their former owners, and banks need to sell their inventory. Now is a great time to buy Ocean Isle Beach foreclosures.